Specialist conservators and stonemasons have been working to safeguard our delicate ruins ahead of winter. A team of experts have spent three weeks conserving the fabric of the building by removing vegetation, carrying out masonry repairs, structural stabilisation and repointing – all part of good, regular maintenance of the 15th century banqueting hall. The work, by specialist rope access conservation company, West Access Conservation, is part of an on-going conservation project here at Sudeley Castle. As part of the work, members of the team were able to access areas of the ruins at great height, which are rarely seen and off-limits to the public for safety reasons. 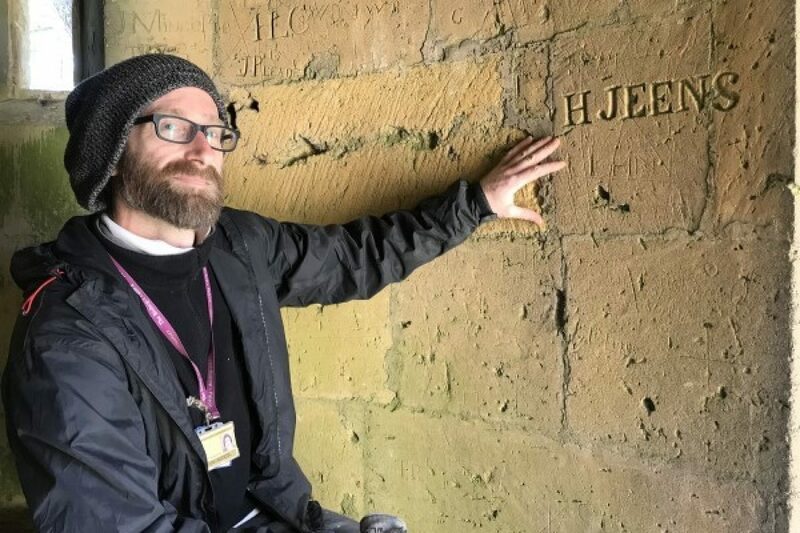 Inside the stairwell of the historic octagon tower, they were able to get a rare, up-close look at historic graffiti carved into the walls of the building over hundreds of years. One of the team working on the castle ruins is Phillip Windley, who, as well as being a gold heritage architectural stonemason and conservator, is also a qualified IRATA rope access technician and experienced rock climber and instructor. 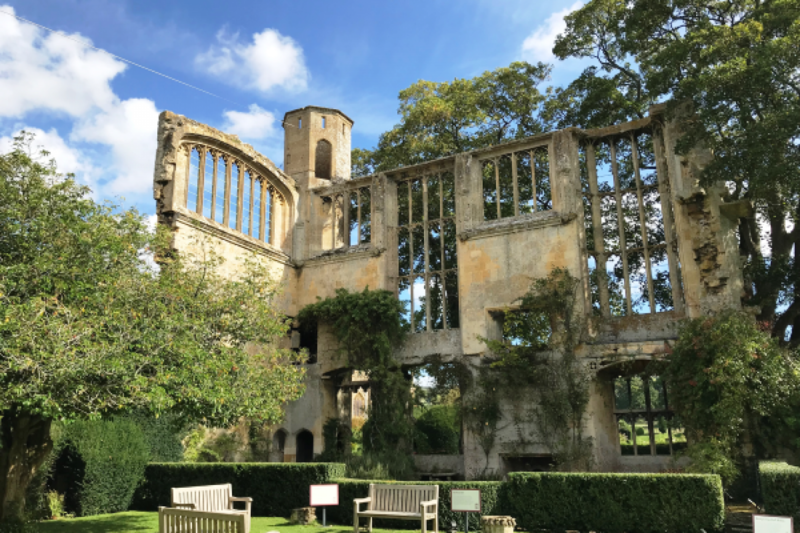 He said working at Sudeley Castle has been fascinating: “We are working to conserve the fabric of the building to help prepare it for the harsh winter weather and to ensure minimal water penetration over the cold and wet months,” he said. Sudeley Castle was once a royal residence, closely associated with some of the most famous English monarchs, including Edward IV, Richard III, Henry VIII, Lady Jane Grey, Katherine Parr, Elizabeth I and Charles I. The Castle was even home to a secret Queen of England, Eleanor Boteler, whose royal status was unknown for centuries. 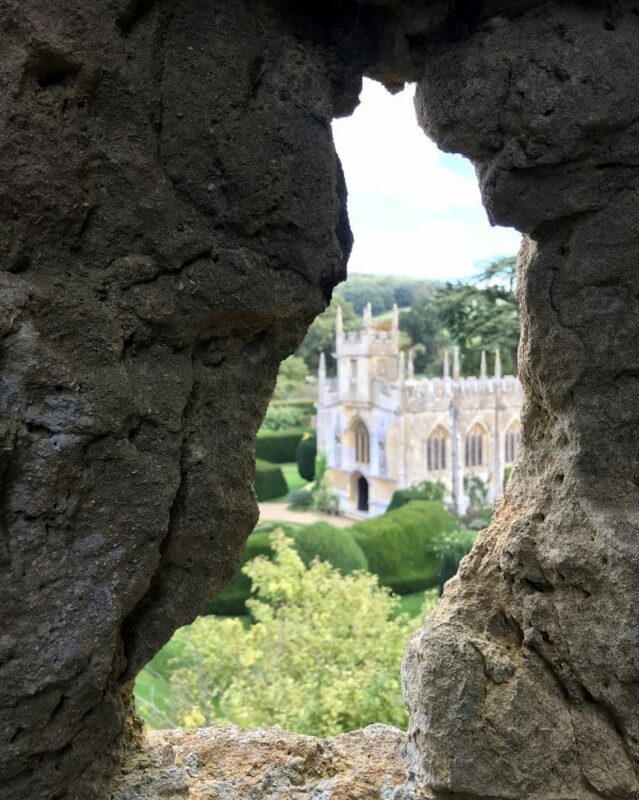 Today, Sudeley is widely recognised as one of the most romantic and beautiful buildings in England, surrounded by a 1,200 acre estate and 10 award-winning gardens. For the first time this year, we are staying open daily, right up until December 21, 2018, offering visitors the chance to enjoy the magic of Sudeley in the run-up to Christmas. Book admission tickets online to save 10%.